We accept payment on this website by by paypal, visa and most credit cards. Please contact us if you wish to arrange to pay by bank transfer or other means. 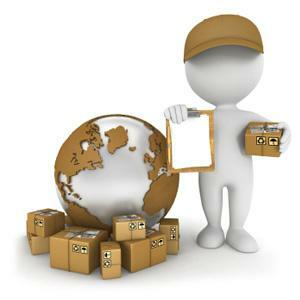 Normally, orders received by 2 p.m., are despatched that day, or within 24 hours. In Ireland, you can expect the goods to be delivered to you within one or two working days in most circumstances. Delivery to the UK usually takes 3 days. Australia, USA and rest of world is usually about a week. Ireland : free on all orders over €100. Delivery costs a flat rate of €6 on orders under €100. UK, Europe : delivery is €30. Rest of the World: €70. Returns Address: Sunset Watersports Shop, Adelaide Street, Sligo, Ireland. Quote your order number, name and what you would like to happen to your order ie exchange for different size, credit note etc. If you would like a refund rather than an exchange or a credit note, returns may be subject to a charge to cover any postage costs incurred. Please note that if goods are not returned in the condition in which you received them, we reserve the right to refuse such returns. Any item returned to us is at your own risk and cost. Please note that we will not be liable for any loss or damage to any returned items in transit and products remain your responsibility and property until we receive them. If returned items are lost or damaged in transit, we will have to charge you (or not to refund any amounts attributable to) such loss or damage. Please send any item(s) you intend to return in the original packaging. Upon delivery please check all items have not been damaged in transit before you sign for them, or if you cannot check the goods please sign for as ‘unchecked’. If your item is a kayak or surfboard and you notice torn packaging, be especially careful to check the kayak or surfboard for damage before signing the delivery docket, or else sign the courier docket as "goods unchecked".